The Class 156 diesel multiple units were built in 1987 by Metro-Cammell at Washwood Heath, Birmingham. 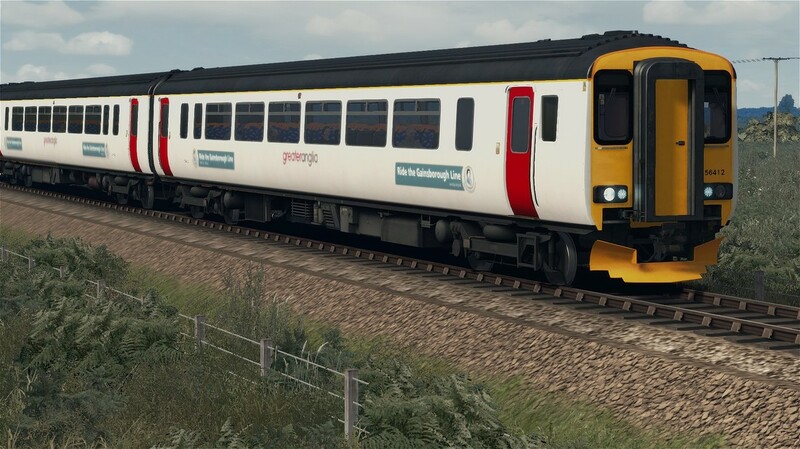 A total of 114x 2 car units were built to replace early first-generation DMUs and some loco-hauled trains on routes ranging from Anglia to Scotland. 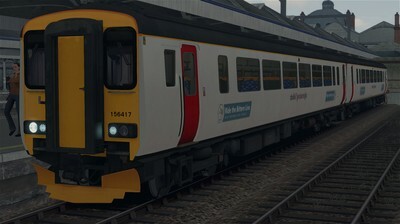 The units have a similar design to that of the Class 150/2, with major differences including the longer body, and doors at the end of the carriage rather than towards the centre. 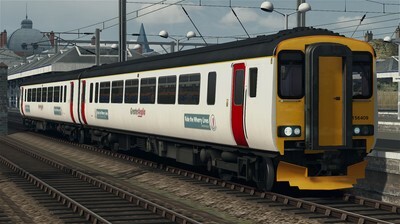 Class 156s have a top speed of 75mph. Greater Anglia are the smallest operator of the Class 156, with only nine units, all of which will be replaced by new Stadler bi-mode units within the next five years. 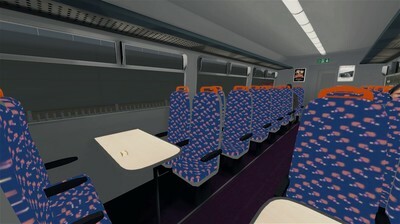 The download includes the Class 156 DMU in Greater Anglia livery, including a custom interior, six quick-drive consists, in all branding variants, as well as new vehicle numbers, and over twenty-five custom destinations on a new animated LED scrolling screen. 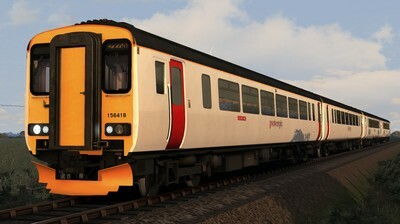 You need the Class 156 DMU from Steam to use this reskin.